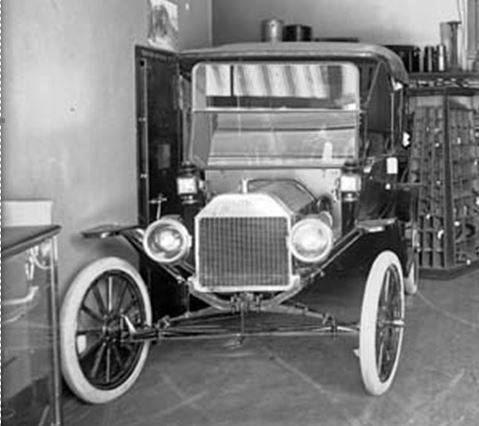 Thought some here would enjoy checking this thread out I posted over on the Model T Ford Fix Site a while ago. How long did it take you to post all of that? Howdy Herb, What you see is the product of years of hunting and gathering and loading it to a file folder on my computer. Up loading it all to the thread was the easy part. I thought some here would like to download and print copies that match their year Model T so they can display them with their car. Interesting Pennsylvania titles. I have what may be original Penn title that had no issue date. That caused me lots of headaches at DMV. Jay, this is a great collection and thanks for posting it. I appreciate seeing old titles and registrations being used how they should, for historical purposes. 1. There is a zip code. These did not exist in 1931 when this was supposedly issued. 2. The fee is $4. The annual fee was never less than $10. 3. Usually the date of issue wasn't printed on the title. 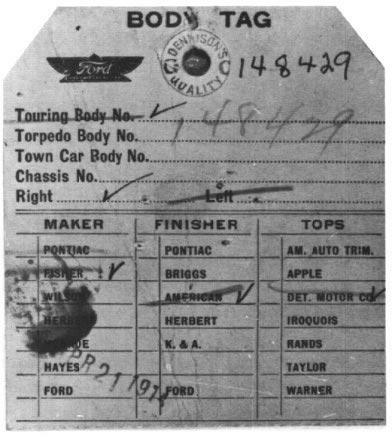 This line was added in the mid-1930's but usually didn't get filled in on the early titles unless it was a new car or the previous title had the date printed. There is a guy on Ebay that sells these false PA titles for big money and it drives me nuts when I see it. The second title from "Pearl Steward" is a real one. You will notice that it has "Junk" written on the top of it in ink. 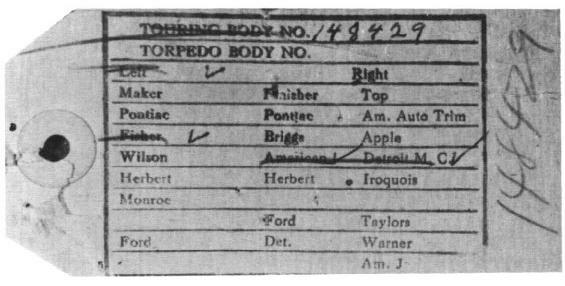 This is how the junk yards "voided" them. The earliest PA titles are actually a very rare and interesting document to me. There is very little information on them that I can find but I believe that they were first issued around 1920. The first ones were "Department of Highways" and then later changed to "Department of Revenue" in the mid to late 1920's. Again thank you for sharing the early information. Thanks Jay, for this and all the photos you post. It's one of the best if not the best part of the forum. Geez, Jay, that's great and must have taken forever!!! 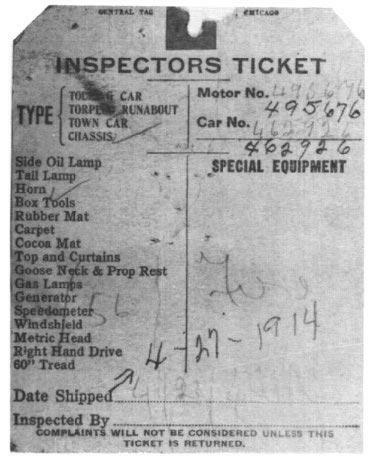 This lead me to a question (for all): What, if any, sort of paper work came with a Model T when new? I mean other than owners manuals. I mean, were their any sort of "stickers" on the windshield, etc.? I'd love to find that sort of thing to display with my 14. 1. 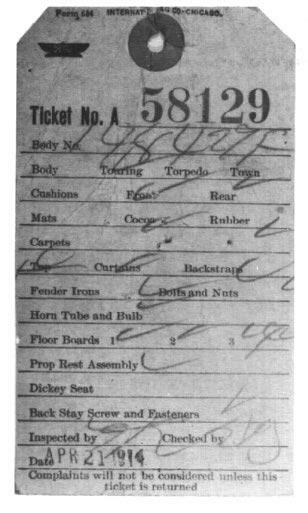 The Buyer's agreement which on the back was a bill of sale. 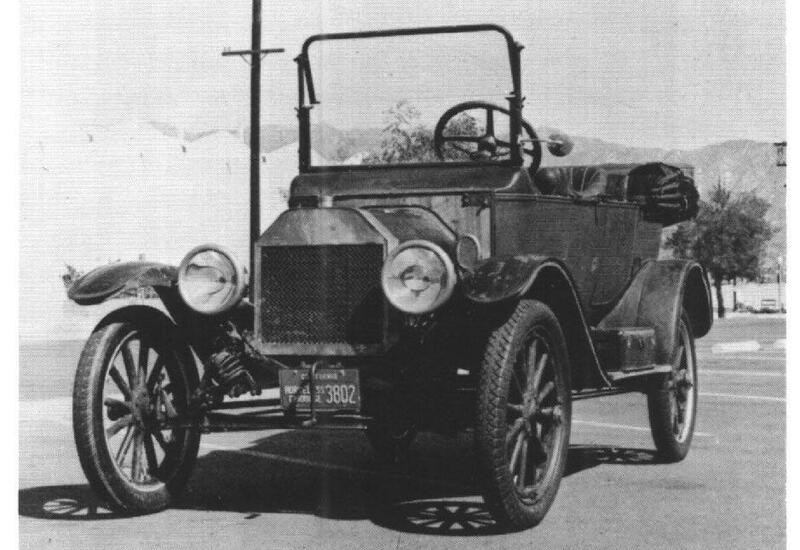 The front of a 1914-15 is shown in Jay's posting and the front and back of one a year or so later is also shown (that one was not filled in) also in Jay's posting. Additionally many of the 1914 cars would have come with some sort of "We will give $50 back if we sell so many Fords by xxxxx." And they sent the folks the $50 checks.